"The Soul of Autism reveals the often unrecognized spiritual gifts of those &apos;on the spectrum&apos; and explains how they can help all of us. William Stillman believes the world needs autism. After reading this moving and inspiring book, you will see why." "I believe the world owes William Stillman a debt of gratitude for the courage it took him to research and write this book. 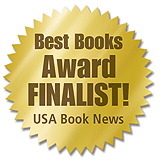 It is filled with rare wisdom and amazing stories that will totally surprise you!" Why the unaccountable and dramatic rise in autism—with no single known cause--is a necessary part of our spiritual evolution. We have much to learn from our autistic friends about transcendence rising, a new humanity accessible for all. The Soul of Autism illuminates the way. 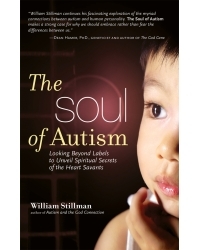 William Stillman is the author of the groundbreaking book Autism and the God Connection, the first study of the profound spiritual, mystical, and metaphysical gifts of some individuals with autism. His other books include The Autism Answer Book; The Everything Parent&apos;s Guide to Children with Asperger&apos;s Syndrome; and Demystifying the Autistic Experience. Stillman also writes columns for The Autism Perspective and Children of the New Earth magazines. As an adult with Asperger&apos;s Syndrome, a mild "cousin" of autism, Stillman endeavors to highlight the exquisite sensitivities of our most valuable, wise, and loving "teachers." Stillman lives in Pennsylvania.